CODA takes time out of the equation, bringing aggregated liquidity to your order on demand. CODA Markets is a PDQ Enterprises Company. CODA Block is a unique facility for executing large orders in a single transaction. Users can initiate an auction on demand, summoning aggregated buyside and algorithmic liquidity without revealing the direction or size of their trading interest. 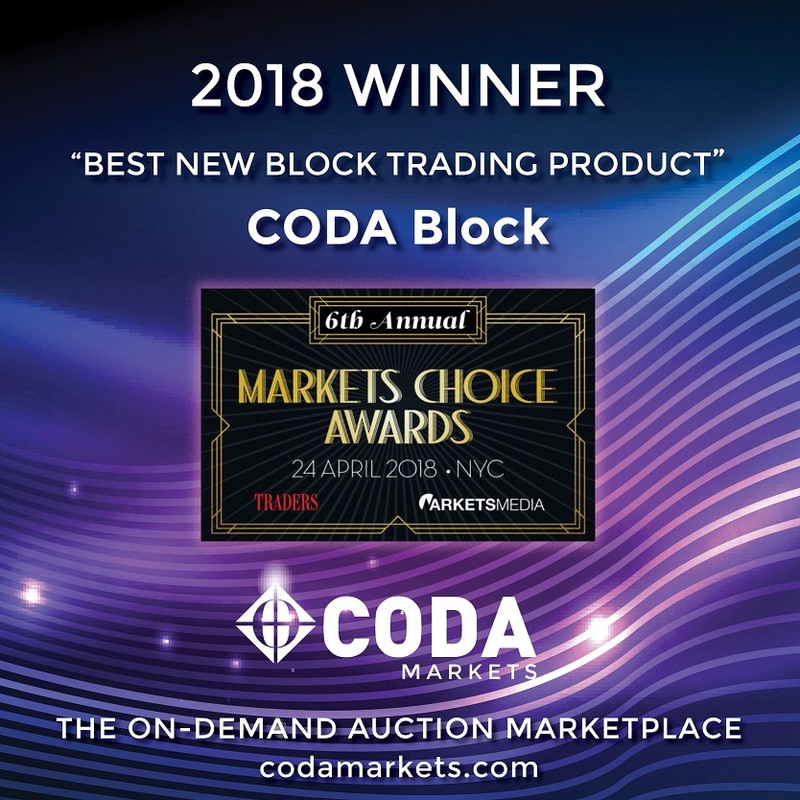 CODA Micro is a user-initiated sub-second auction that transacts against aggregated buyside and algorithmic liquidity at or within the National Best Bid or Offer(NBBO). The facility lets users transact without revealing the direction or size of their trading interest. CODA FLARE gives subscribers access to liquidity wherever it resides, in or out of the CODA marketplace. User specifications and CODA analytics may be combined to route unfilled parts of orders for best execution nationally. CODA Pulse provides customized user alerts to maximize opportunities for large size execution on CODA Block.